Here's the video everyone... if you're in the break, I think this one is short enough and exciting enough to watch before you go look at the scans! Scans after the page break, as always! Pretty sweet looking photo they used. 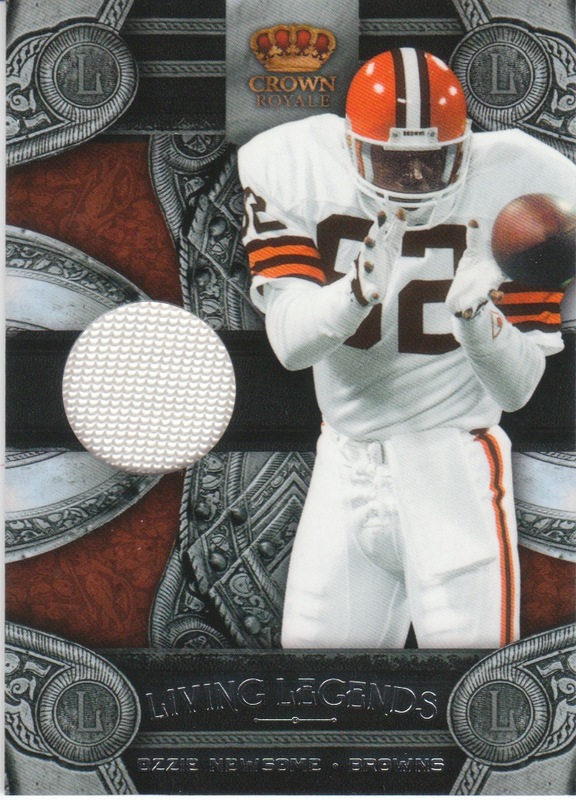 I guess it's a little tough to have a "great" jersey swatch of the Browns since 95% of their uniform is just white but still a cool looking card! Next up, an awesome patch! Best is struggling with concussion issues, let's all hope he can get past that, as he was a pretty good running back/receiving threat for the Lions for a season or two. 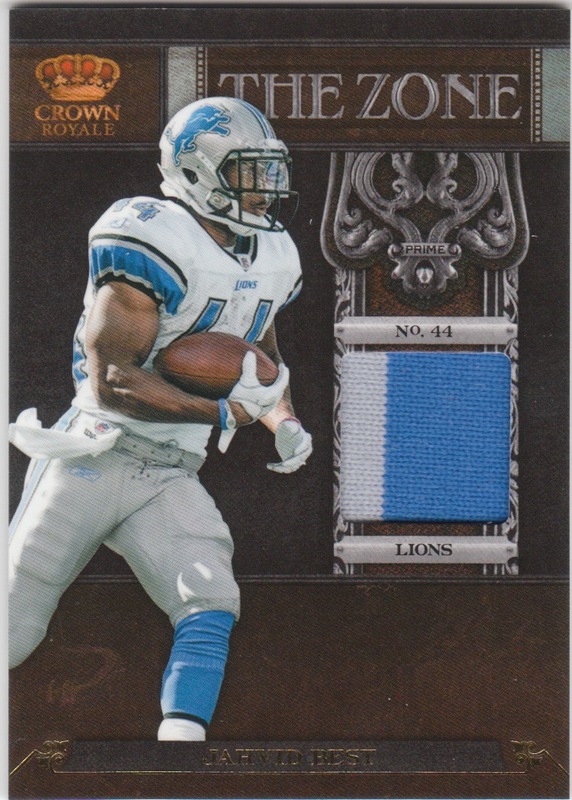 An awesome dual color patch here! Finally, we have the hit of the entire group break.... an awesome auto relic of the one and only... Kaepernick!!!! It's cards like this that justify the gamble of spending $10 on your favorite team, right arpsmith?!?!?! I'm sure he'll flip his lid for this one, he had a great break with this card and the Kendal Hunter yesterday. I hope everyone enjoyed the break. Give me some feedback. 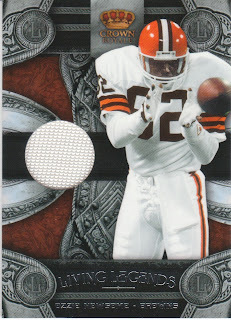 I enjoy the football cards, let me know if you want to see more breaks with football involved. Or if you prefer I just stick to baseball and leave football for other sites. I personally think alternating sports month to month may help the redundancy problem I've had in baseball having to use the same products throughout the year. Anyways, feedback, please let me know what you feel, no opinions are wrong and all will be considered!!!!! Damnnnn...I was disappointed when I saw Arpsmith had snagged the 49ers. Oh well. I still did decent in the break. Great box. Woo hoo!!! I can't believe that pull - thank you so much for the break. Pretty happy with getting 2 hits in two boxes. Looking forward to the next break. 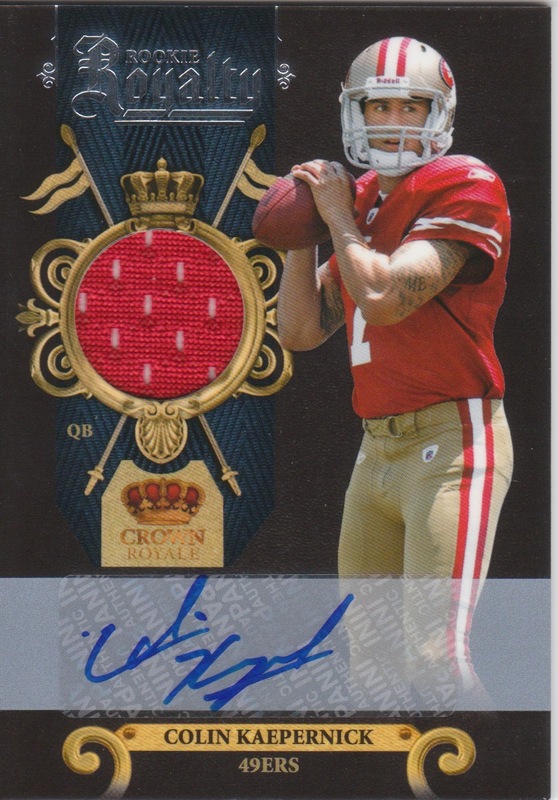 Perfect timing of the Kaepernick too!